With the holidays upon us, the gift list is long. Whether buying for others or putting a list together of what you want, a book is always a perfect gift. 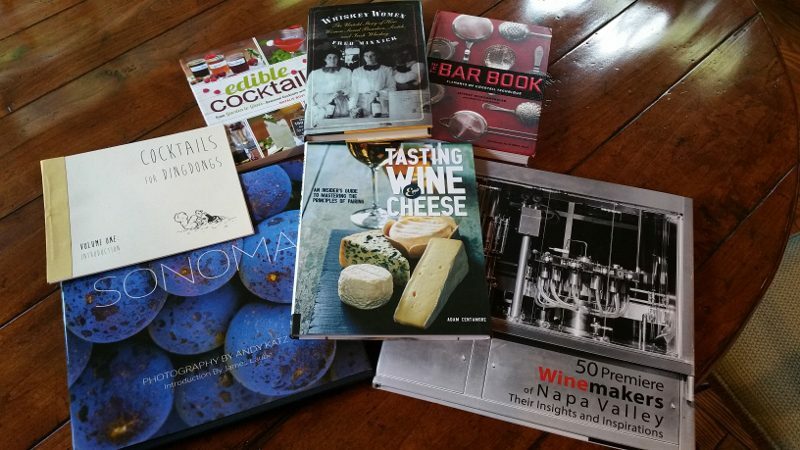 As a wine and cocktail lover, I am always drawn to books about this subject and continue to amass a collection of books about the history of the industry, the people who make the industry what it is and guides to learn more about wine, cocktails and pairings. 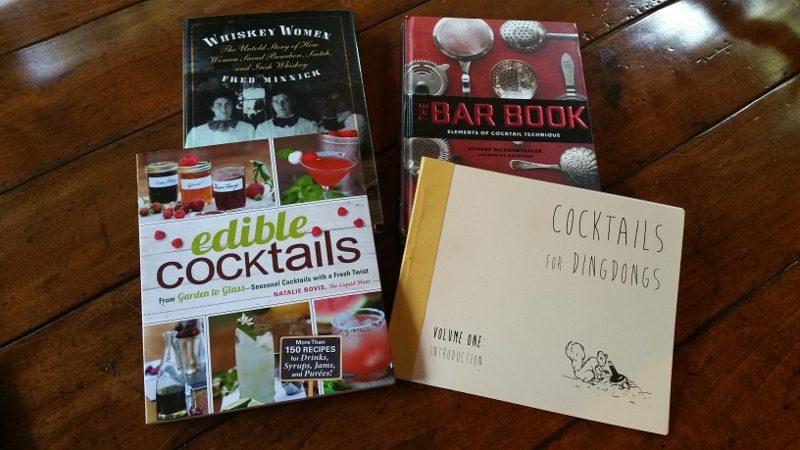 If you are looking for last-minute gifts for your wine and cocktail loving friends, here are seven suggestions that are currently filling my bookshelves. A hardcover book bursting with stunning pictures, this is the perfect coffee table book. The book is filled with vibrant images of vineyards throughout the seasons, of vines from bud break to harvest and of the natural beauty of Sonoma. Katz’s photographs are the type of images you can get lost in. As you look at an image of a field of flowers, you will want to reach out and grab one. As you look at a photo of fog covering a vineyard, you will want to dust it away with your hand. This book will make you want to move to wine country, if you do not already live there. Siso has photographed 50 artisan winemakers from the Napa Valley. The photos capture the personality and passion of each winemaker. Along with each photograph is a series of questions. Learn about his or her first experience with wine and how he or she became a winemaker. Learn what they would be doing if they were not making wine. Read what inspires them and what are their top three wine choices to drink. And, what would they want to drink if they were stuck on a desert island. Get to know the people behind some of the wines you love. 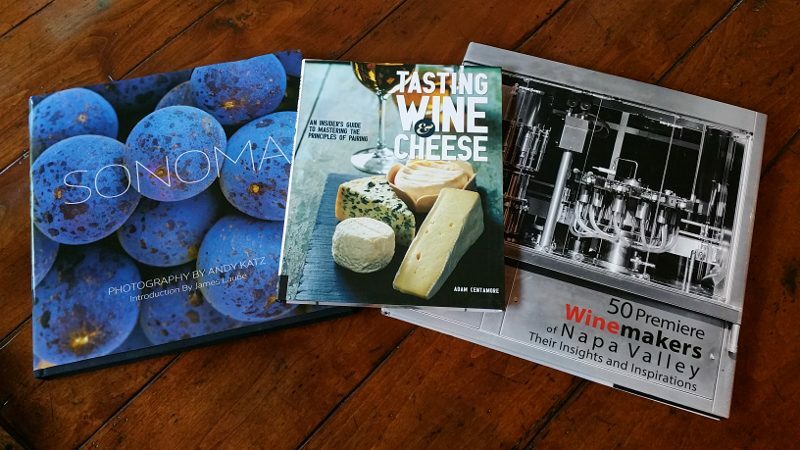 There are many books about cheese and many books about wine, but this book brings the two together. After a couple of chapters explaining the basics of tasting wine and the basics of pairing, each chapter goes on to focus on a style of wine: sparkling wines, white wines, red wines and dessert and fortified wines. Then within each wine style, a comprehensive list of varietals is provided. From assyrtiko, chenin blanc and verdiccio to gamay, nebbiolo and syrah to brachetto, port and sherry, each grape is described. With each varietal a cheese, with description, is suggested to pair with it. This is the perfect reference guide for anyone throwing a party. Renowned bartender and cocktail blogger Jeffrey Morgenthaler has put together the first bartending manual that covers all the essentials of making cocktails. Whether you are a beginner or more advanced drink-maker, this book will help you hone your cocktail-making techniques including tips on measuring, dilution and mixing methods. This book includes easy-to-follow recipes for tonic water, syrups, shrubs and more. There are also cocktail recipes throughout the book, including the Clyde Common Eggnog, one of the best eggnogs you will ever taste. For the historians, feminists and especially the whiskey lovers, this is the book for you. Women have always played a role in the whiskey industry, such as Elizabeth “Bessie” Wilson, who ran Laphroaig after starting as a secretary there in 1934. She and many other women have been a significant part of the creation of this industry. These women were forgotten until this book, where author Fred Minnick brought their stories to life. Natalie Bovis, known as The Liquid Muse, is also the author of “Preggatinis” (a book of creative nonalcoholic drinks) and The Bubbly Bride. With “Edible Cocktails,” she focuses on garden to glass with seasonal, easy-to-make cocktails that are fun to enjoy. Whether you have your own garden or you shop at the farmers markets, you will learn how to make drinks that are culinary-focused and healthier, while still tasty. This 24-page, hand-bound book is like a “cocktails for hipsters.” Bartender Dustin Drankiewicz and comic book artist and bartender Alexandra Ensign originally created this book as a reference for cocktails on the list at The Promontory bar in Chicago. With clever illustrations, anyone can understand the complicated cocktails. The book’s cocktail selections include The Hearth Manhattan, made with Rebel Yell rye, Hearth Charred Vermouth and vanilla-cherry bark bitters. 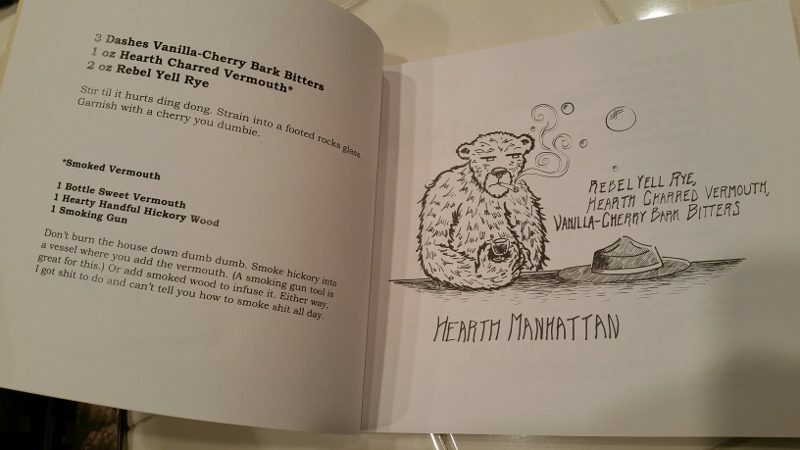 The image along with the drink is of a grizzly bear smoking a cigarette. Do not expect to order this book on Amazon.com like all the rest. It is available only at CocktailsForDingdongs.com. This entry was posted in Cocktails, Food, Lifestyle, Wine and tagged 50 Premiere Napa Winemakers of Napa Valley, Adam Centamore, Alexandra Ensign, Andy Katz, book, cocktail books, Cocktails for Dingdongs, Dustin Drankiewicz, Edible Cocktails, Fred Minnick, gift ideas, Jeffrey Morgenthaler, Napa Valley Register, Natalie Bovis, Nicola Siso, Sonoma, Tasting Wine & Cheese, The Bar Book, The Liquid Muse, Whiskey Women, wine books by Allison Levine.